Spider-Man: Into The Spider-Verse had a whole lot of Spider-Men (plus a Spider-Gwen and a Spider-Ham), but co-director Rodney Rothman says the movie almost had a trio of recognizable Spider-Men that would’ve made its universe-hopping adventure even more complicated than it already was. 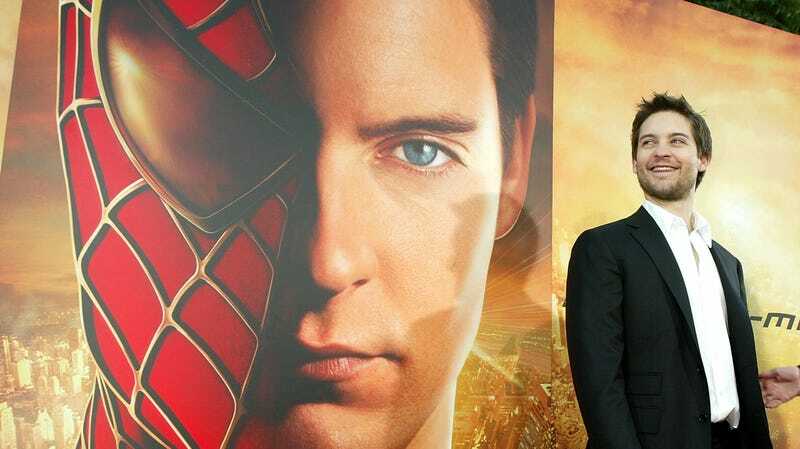 In an appearance on The Q&A With Jeff Goldsmith, Rothman noted that an earlier version of the script had a scene where the Tom Holland, Andrew Garfield, and Tobey Maguire versions of Spider-Man all appeared in the same scene, establishing that all of those Spider-Man movies existed as part of the same Spider-Verse as the Noir universe and the Chris Pine universe from the movie. It doesn’t sound like this was ever actually animated or that Holland, Garfield, and Maguire were even contacted about it, but it was at least considered at some point. Rothman wouldn’t say much more about that particular scene (gotta save something for the sequel), but he does say that the decision to cut it came from the fact that there was “a lot of anxiety around the movie” about “confusing people.” Apparently, there were concerns among the people making Spider-Verse that too many Spider-Men would be too much for audiences to handle, which—considering that they’d have no way of knowing just how much the movie would take off—was probably the right call. Of course, it is worth noting that the Spider-Verse comic book event that inspired the movie did feature a scene where one of its infinite Spider-Men mentioned seeing a couple webheads who looked like Tobey Maguire and Andrew Garfield, so there is a precedent for this sort of crossover. Elsewhere in the interview (as noted by our friends at io9), Rothman talked about John Mulaney’s Spider-Ham, the breakout star of Into The Spider-Verse, and the “war of attrition” that was required in order to find the right tone for his antics. For example, there’s a scene in the movie where all of the Spider-Men tell Miles Morales that they’ve each lost someone important in their time as a Spider-Person, and an earlier version of the scene had Spider-Ham undercut his sincere line about losing his Uncle Frankfurter with a joke. Rothman says the line would get huge laughs in test screenings, but they cut it because it diminished the real emotion of the scene.